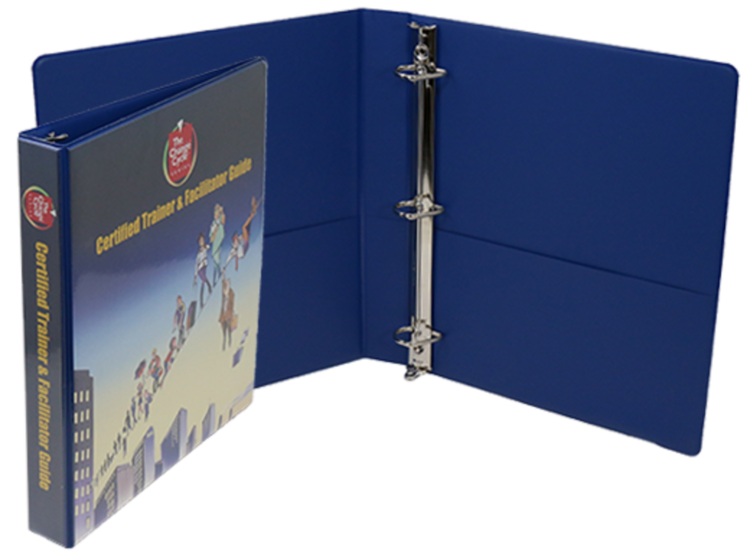 With a seamless edge and finish, turned-edge binders are long-lasting and made to tolerate constant use and hold heavy inserts—their cover materials are glued around rigid board. 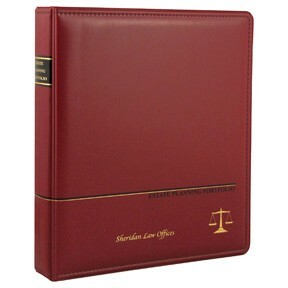 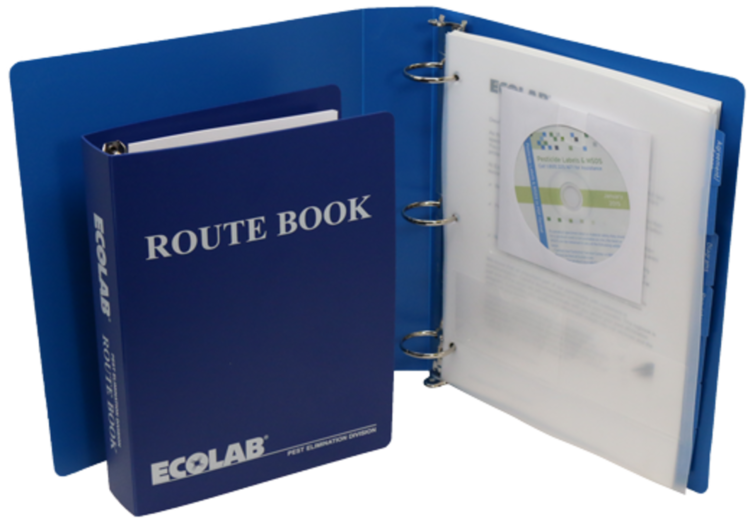 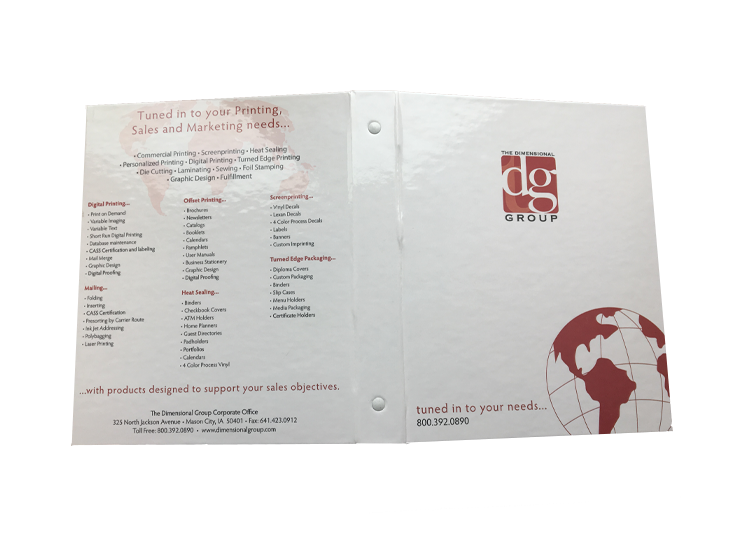 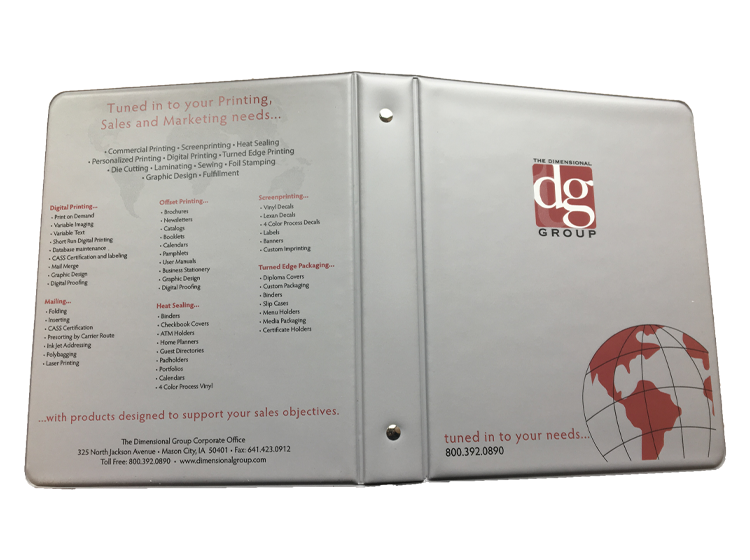 The inside and outside of a turned-edge binder can be printed with full-color graphics using a wide variety of cover material options (cloth, leather, paper, canvas, plastic, etc.) 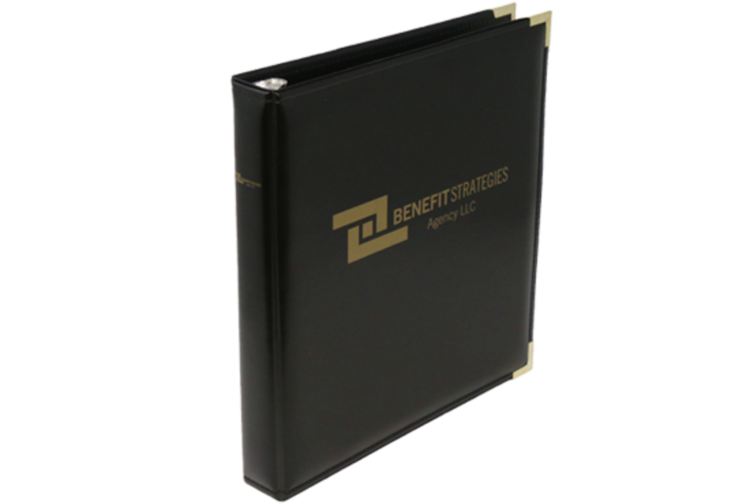 Special features like metallic foil stamping, embossing, and debossing are also possible.